Celebrate the joy of new beginnings with a Yellow Rose Poster from TicketPrinting.com! 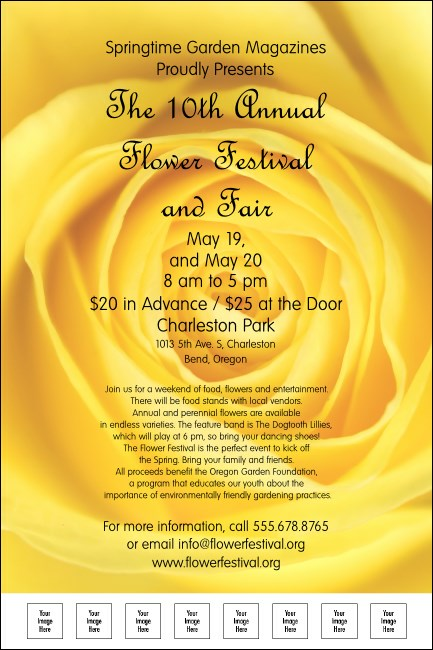 Whether you’re hosting a baby shower, graduation party, or want to advertise a new event, Yellow Rose Posters convey feelings of friendship and renewal. Get started with our easy template customization process today! Advertise your next event with the intricate charm of a Yellow Rose.